For those who love to walk, get a ride out of town or just hanging out at home with a casual outfit , comes the sweatshirt with headphones. This is an innovative product that combines the pleasure of dressing fashionably with the technology of an integrated headset, compatible with any smart phone. A really cool idea to promote your brand fashionably. 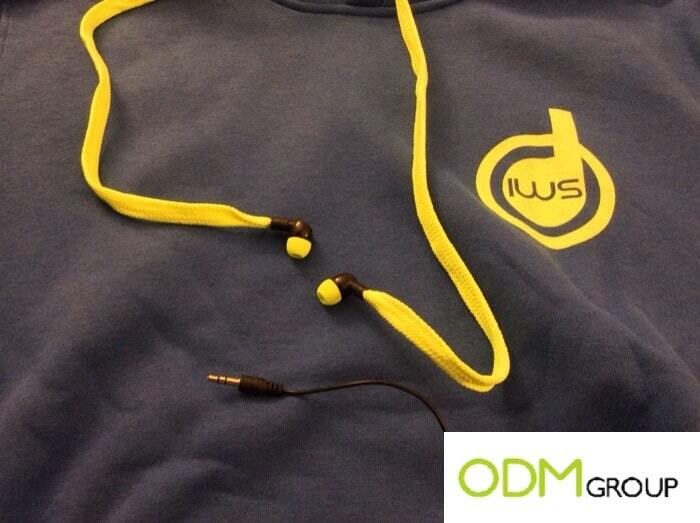 Apparently, it may seem like a normal sweatshirt, but actually this innovative product hides inside the headset with integrated microphone. The sweatshirt can be made of high quality materials, so it can be easily likened to products made by known fashion brands. The sweatshirt is casual and sporty at the same time, which can be worn for a walk, but also to go to the gym or doing a long running session and , why not, to go out shopping on a Sunday afternoon listening to good music. Crowded places where the chances that your logo will be recognized through this innovative product are very high. At the position where you adjust the size of the hoods, comes out a pair of earplugs where companies can even print their logo on. And once you connected your smartphone, it will be possible to listen to music as well as talking on the phone using the built-in microphone . This innovative product comes out with the 3.5mm jack, so the headphones can be used with any MP3 player, smartphone or tablet existing on the market with integrated headset port. 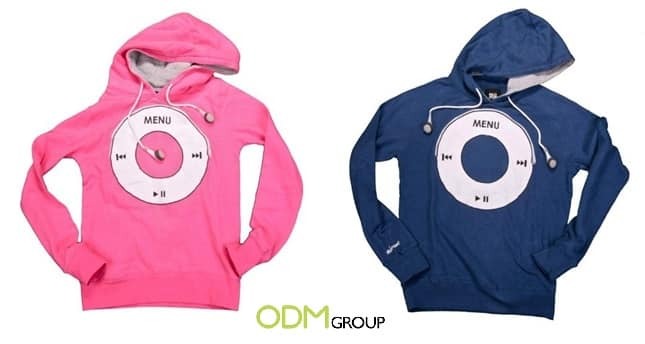 The sweatshirt with headphones and microphone is definitely a unique and innovative product. 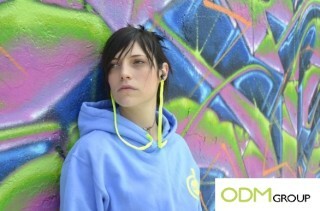 A sweatshirt that you connect to your smartphone to listen to music and make calls using the laces of the hood. A very nice idea, especially for those who love sports or long walks. Offering this innovative product as promotional item, give away or gift with purchase to your customers is a really good idea to impress them. They will not easily forget your brand, but rather, associate your brand to this unique and innovative products and increasing your brand awareness. What are you waiting for? Contact us or our designers team to create your very own promotional item now!